Meet Dr. Luigi DiRubba D.C., F.I.C.P.A. I hope we can help you with your health care needs and inspire you in the future. I was born and raised in New York. In 1979, after injuring my neck in a wrestling match, I was rushed to the hospital semi-paralyzed, placed in traction, and highly medicated. After held in traction for four days, none of the doctors had answers. Within a matter of days, I started to feel again and continued my care through my teenage years (with many more sports injuries). One day my chiropractor asked, “What do you plan to do with your life?” In typical teenager fashion I answered, “Haven’t figured that out yet.” His response was, “You have calling, you need to be a Doctor of Chiropractic.” That is where it all began. After attending college at the University of South Florida and CW Post College, I continued to graduate school at Palmer College of Chiropractic, graduating in 1993. I received clinical internship and preceptorship awards, also receiving outstanding undergraduate and graduate awards from Delta Sigma Chi Fraternity of Chiropractic. I practiced in New York for six months, before meeting a chiropractor in Cheshire who was looking to retire. I began private practice on December 3, 1993 and have been blessed and honored by the opportunity of assisting many families ever since. 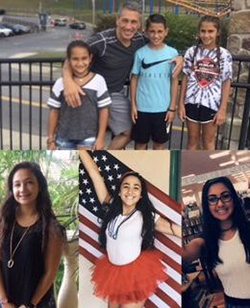 I am blessed with 6 wonderful children that are a big part of my life. I love contributing to my profession, either through my alumni association or assisting students to become better doctors. I am a current board member of the Connecticut Chiropractic Council and in 2005 was nominated to the board of the International Chiropractors Association. After going on mission trips, bringing chiropractic to those less fortunate, I have lectured to numerous organizations, schools and peers spreading the message of the benefits of chiropractic in every aspect of their lives. I enjoy sports, running and have a passion for Ferrari automobiles. But the hobby I enjoy the most is feeding my mind with new things in my life, family and profession. I believe that well being is a matter of choices; that we are a consciousness having a physical experience. Thank you God for the many open doors! Dr. DiRubba is actively involved in his profession to better serve his patients. The Connecticut Chiropractic Council selected Dr. DiRubba as 2005 Chiropractor of the Year. 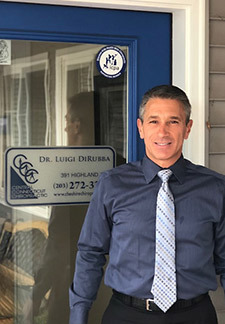 Currently, Dr. DiRubba serves as the Vice President of the Connecticut Chiropractic Council. Dr. DiRubba is also the Connecticut State Representative for the International Chiropractors Association.